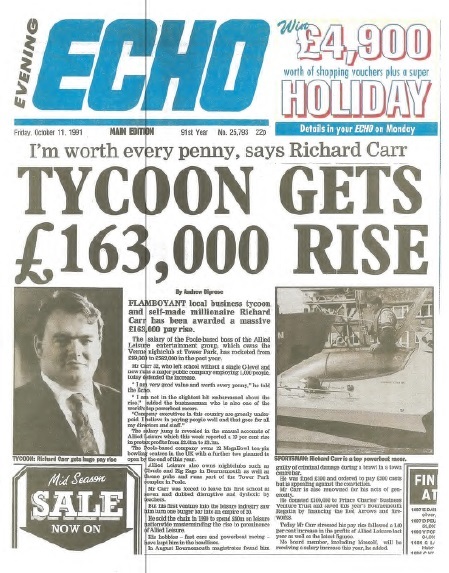 During the early 1990s Richard Carr was a regular on the front page of the Evening Echo as a result of his business ventures. 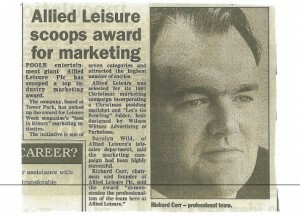 In late October in 1991, he was pictured on the front page under the headline ‘Tycoon gets £163,000 rise’. 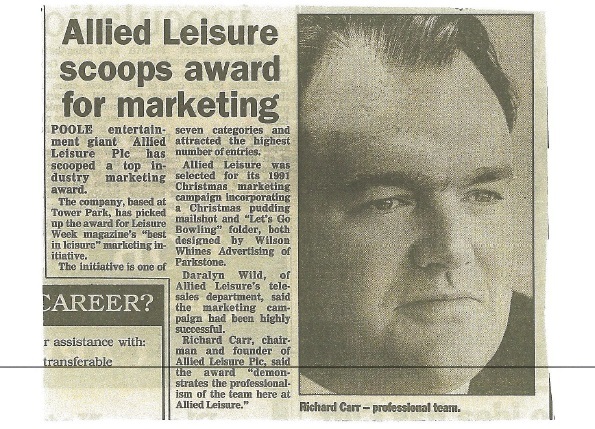 Was Richard Carr’s response. 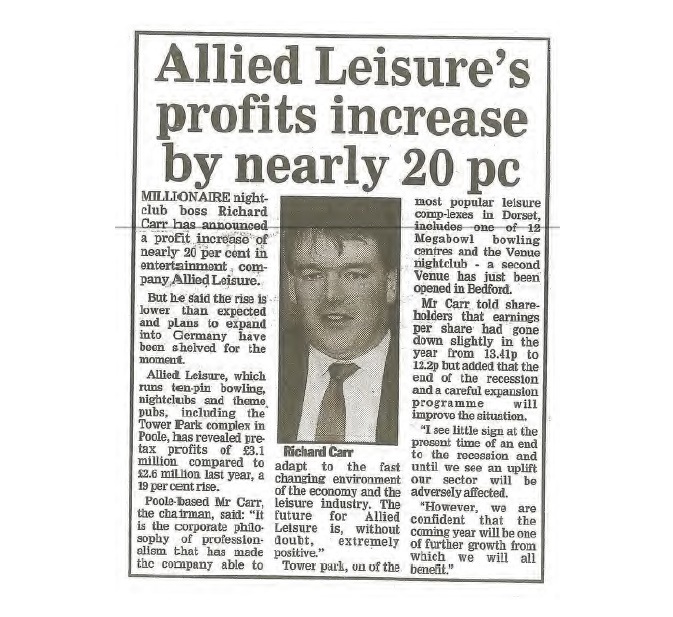 Described as a flamboyant local business tycoon, the paper reported that his pay rise took his annual salary from £99,000 to £262,000. 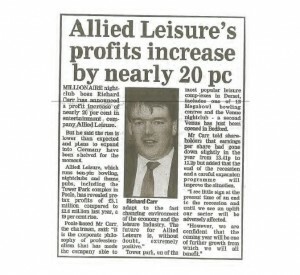 Richard, who are the time was running his self-made business Allied Leisure, left school without a single O-level and went on to run a major public company employing over 1,000 people. 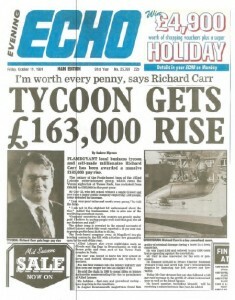 He defended his pay rise, telling the Echo: “I am very good value and worth every penny. I am not in the slightest bit embarrassed about the rise.